When I started performing, I honed my skills by playing the open mic at a coffee shop. Over time, I learned the dos and don'ts of performing, and I gained experience and knowledge that was useful later when I joined bands and played bigger venues. Here's a checklist of things I like to keep in mind when preparing to perform at an open mic. I hope it's helpful to you, whether you're playing an open mic for the first time or you gig regularly. This seems like common knowledge, but a lot of people ignore it. When musicians don't practice, it shows. If you fail to practice enough for an open mic, then you may have a bad set in front of seven people, or 70 people. I learned this the hard way. It's not easy walking offstage at a packed set and knowing you didn't perform well. If you don't think you're ready, then remove your name from the list, and make sure to be ready the next time you sign up to play. Be prepared, and have a gear checklist. Anything you can do to ensure a smooth performance is crucial. If you sing and play guitar, bring extra picks, strings, a tuner, sheet music, water, your set list, a capo if you use one, and so on. For solo sets, I always have a bag with everything I might need in case something goes wrong during my set. It doesn't hurt to make a gear checklist and review it prior to leaving for a performance. This is as much of a time-saver beforehand as it is a life-saver when you're onstage. Whether you're playing at a bar, coffee shop, or even in someone's living room (it may happen from time to time, trust me), you are going to want to understand the environment before going into it. 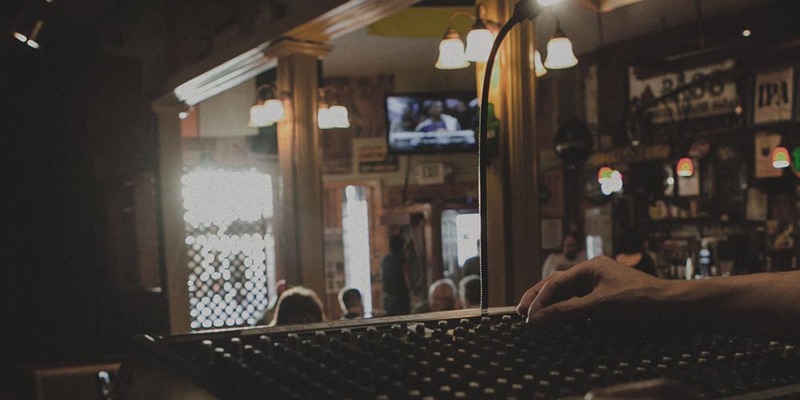 If you know you're playing a busy, loud bar, maybe you shouldn't plan to play all your quiet songs. If you're playing an open mic at the local coffee shop that's usually pretty relaxed, your louder, abrasive songs might be a bad choice. To the extent possible, you'll want to adapt to where you choose to play. I personally like to keep a mixed set of songs I can pick and choose from during a set. Don't apologize before playing anything. I have seen seasoned players and first-timers use the line, "Sorry if I don't play well this evening, but I [insert excuse here]." We get it: you might be just starting out or playing a challenging set. Open mic audiences are understanding, so there's no reason to warn them to expect the worst. Doing so can create an uncomfortable atmosphere, which isn't great for either the performer or the audience. Making mistakes is understandable. It happens when playing live. However, giving the impression that you don't have the confidence to work through said mistakes is basically adding fuel to fire. Don't sweat the banter. Just be yourself. As a performer, once you start playing regularly, you will have to develop a stage presence. It's something that may take a long time to learn. The banter between songs doesn't need to be over the top. If you're just starting out, it's best to just be yourself. Don't worry if you don't have much to say. If you do want to tell a short story about a song or create a moment of conversation with the audience, go ahead. Just make sure it doesn't overrun your time or steer you away from your main purpose of playing music. Before your last song or at the end of your set, make sure to thank the host of the open mic, the venue, the audience, and other performers for watching your set. Everyone involved is allowing you to display your talents and skills in front of them. Being grateful for that will persuade them to come to see you in the future. This is Stage Etiquette 101. Always thank the people supporting you. Watch and connect with other performers. One of the most important things to do when you play is to watch other musicians' sets. I say this because a weekly open mic can become a tight-knit community, and that happens because of the support performers provide to each other. If you leave after your set rather than watching others play, then you not only miss opportunities to make connections, but also you're flat-out being rude. So, show up early, make friends, perform, and stick around to hear what's going on in your local music scene. It will benefit you immensely. 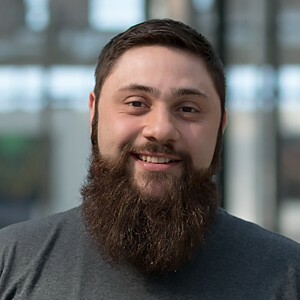 Mike Petruccelli is a Marketing Coordinator at Shure and a 2010 graduate of Ohio University. He is an avid songwriter who enjoys the music recording process from start to finish. His preferred live vocal microphone is the Beta 58A, and he's on a lifelong search to find the best burrito in Chicago.